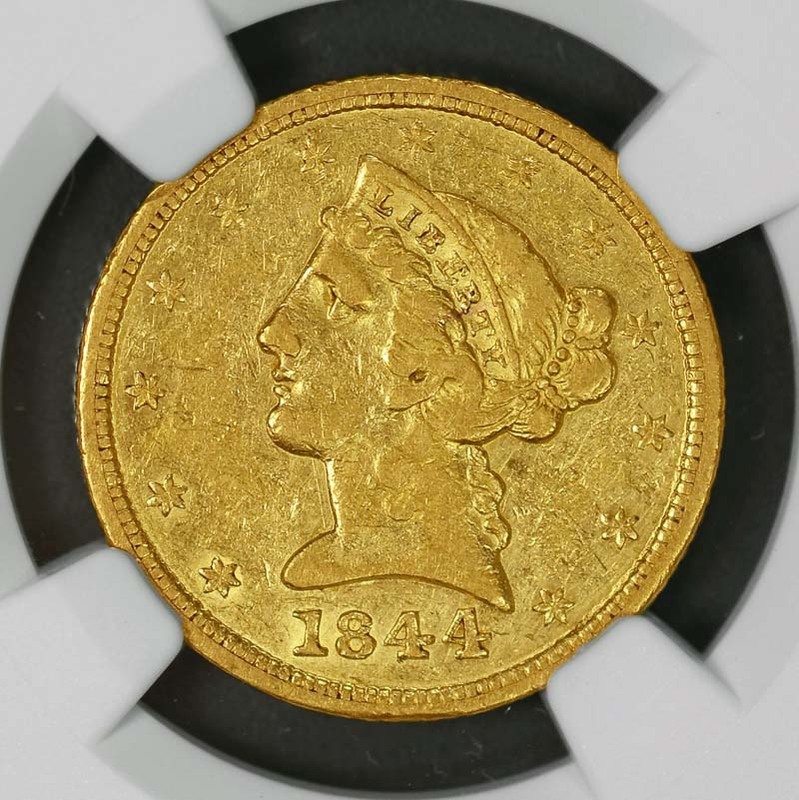 The 1844-D half eagle is one the most frequently offered dates seen at auction in the last 15 years. Nearly examples crossed the auction block during that time. 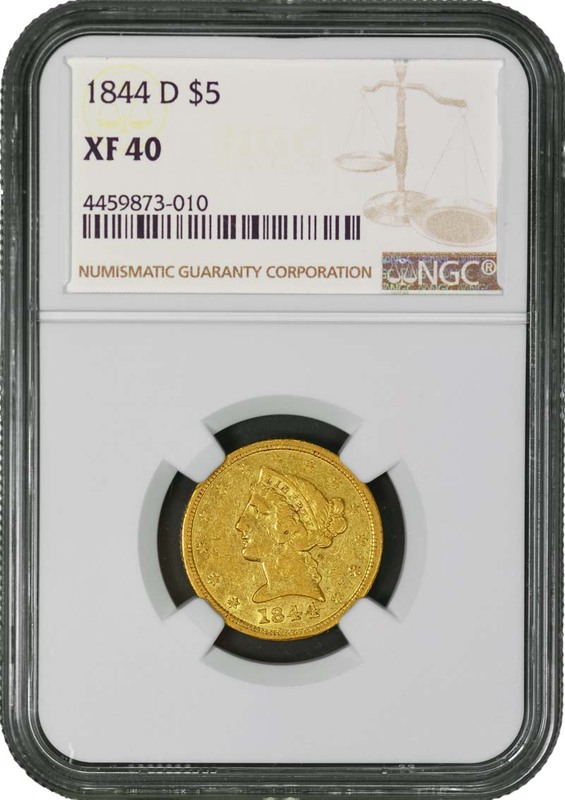 Most of the coins were in grades of Very Fine to About Uncirculated. The 1844-D half eagle is one of the more available issues from the Dahlonega Mint in grades below Uncirculated. However, Mint State examples are very rare. Three dozen coins have been graded at that level, some just barely making the cut. Choice examples of the date are very rare. 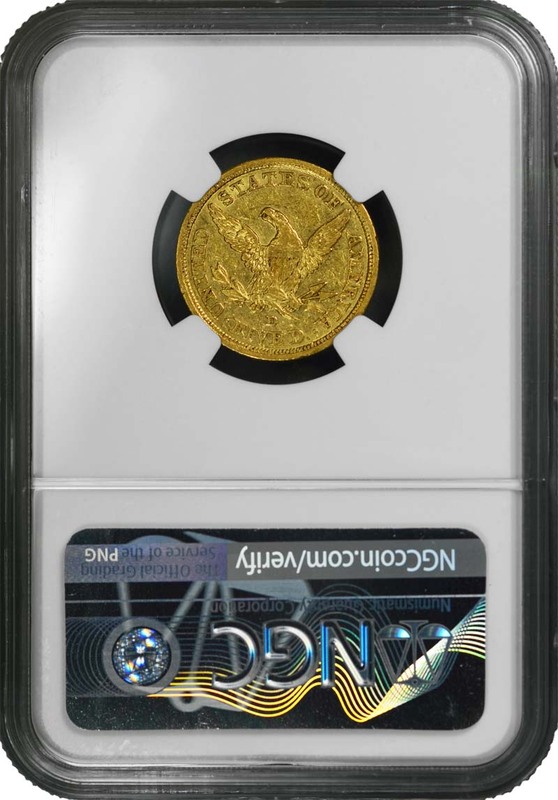 The finest known example is the NGC MS-64 Duke’s Creek coin, which sold for $52,250 in the 1997 sale of the John J. Pittman Collection. 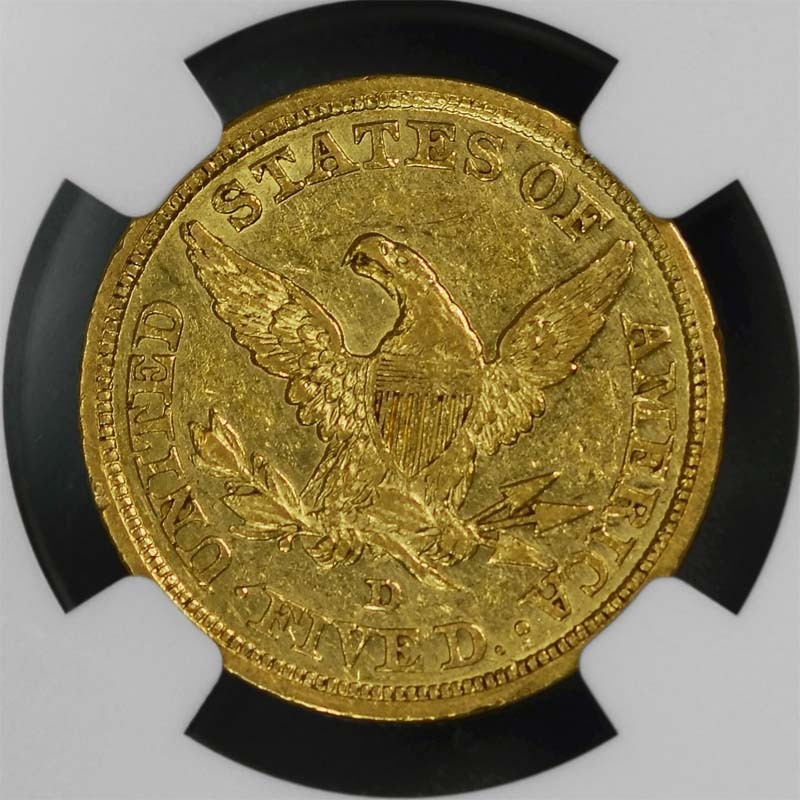 Most of the high-grade 1844-D half eagles seen are well struck and somewhat prooflike.